Add luxurious comfort and decorative touch to your pillows with this Satin Stripe Chocolate Polyester Pillow Case. Offering a high quality 100% polyester fabric, this pillow case is invitingly soft yet durable enough for everyday use. Machine washable at 40° C, this pillow case can also be tumbled dried wash with similar colours, making it a practical and plush addition to your bedding. 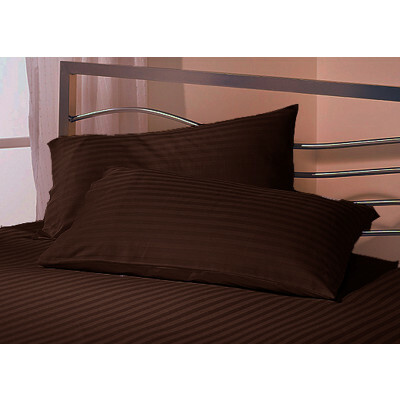 Its soothing brown colour with beautiful satin strips will surely add stunning softness, grace and class to your home interior. Get this pillow case in standard size of 19" x 29" (48cm x 74cm).